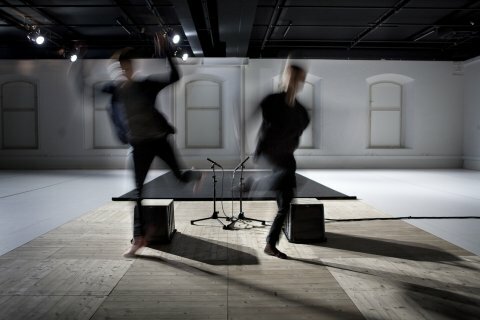 A non-productive movable space, a work of choreography that focuses on conversation, conversation as objective. 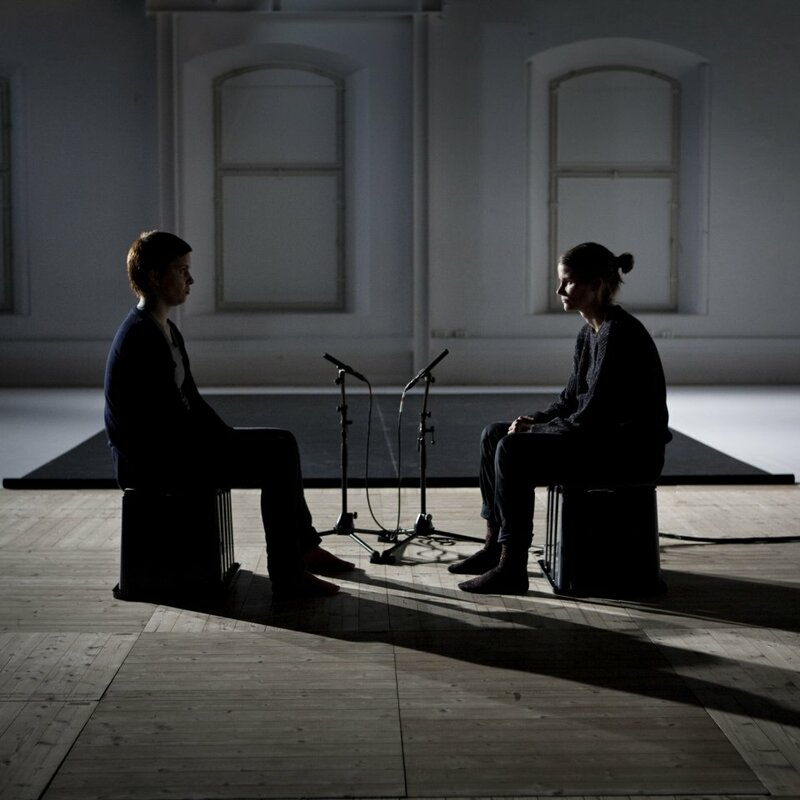 Malin Hellkvist Sellén has invited Minna Elif Wendin to a collaboration where they, for one year, talked to people in and around a plastic box throughout the country. This gesture to let the conversation be and not to guide the work toward a preconceived goal, activates basic questions. 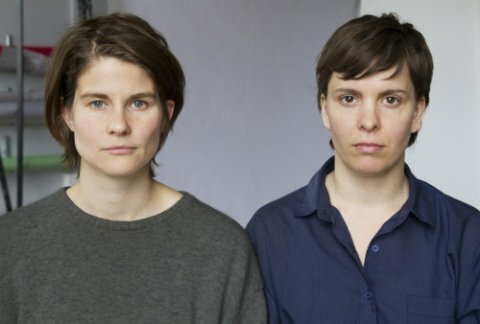 Malin and Minna have focused on residing in the work rather than describing what they are doing. Everything started with Malin wanting to talk to anybody about anything in the transparent space that ze created. Malin wanted to talk privately and undisturbed but also visible in a public context. What they talked about was less important, ze was interested in the conversation in general. Malin also wanted to continue working with Minna Elif Wendin, they have collaborated for many years. This collaboration has, to a large extent, been about just that – talking with each other. Malin wanted to see how this ongoing conversation has shaped their relationship and where the conversation could lead. The dialogue that Malin and Minna have had during previous processes have all been goal oriented. In this work the conversation itself is, in a way, the goal. It becomes a question about when and how a work of choreography takes shape. “Ongoing” is held in swedish. Malin Hellkvist Sellén works as a choreographer in Stockholm and has created several works including They give body thought, King Kristina, Better People, A Christian Evening, Pink promises and Within reasonable limits. Malin’s work has repeatedly been shown at stages in Sweden, Dansens Hus, Pustervik, NorrlandsOperan, MDT, Weld, Atalante and Inkonst. 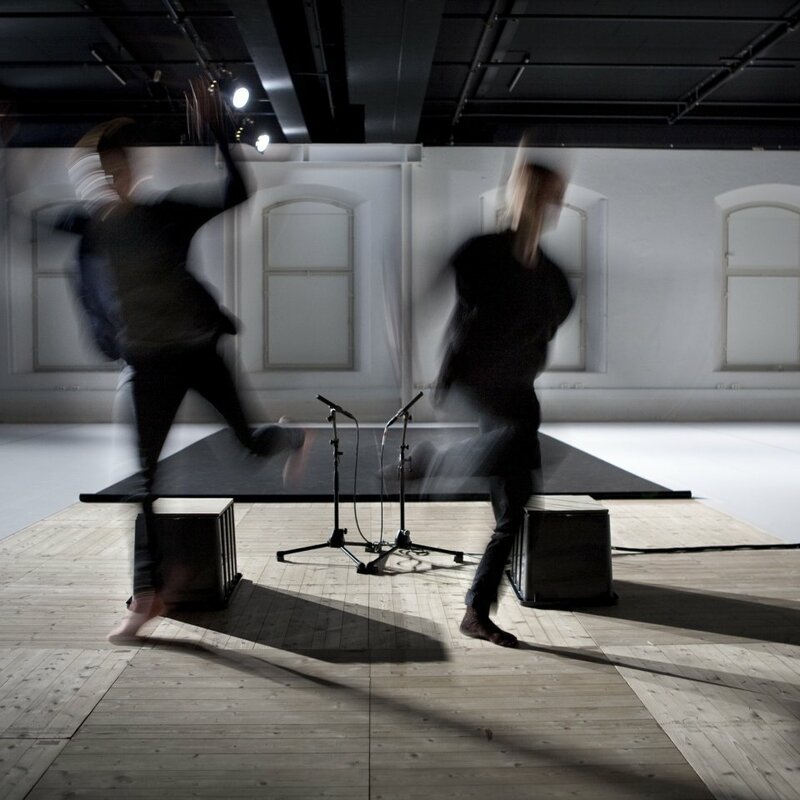 Malin works actively with a feminist perspective on choreography. Minna Elif Wendin works with choreography, production and performing arts-related practices. Minna works in Gothenburg and is active in Next to Mountains and WISP Gothenburg. Minna has worked with Malin in the The give body thought, Better People, a Christian Night and Within Reasonable Limits, and together they organized the festival Polly. conversation documentation text: Helena Öström, Josefin Larsson Olin, conversation partners Everybody who conversed in the box, photographer Åse Bengtsson Helin, Anna Classon, production: Malin Hellkvist Sellén and Nordberg Movement, co-production with NorrlandsOperan, Stora Teatern, MDT and Skeppsholmsstudion. With support by the Swedish Arts Council and the City of Stockholm.